Who Is Devaluing and Why? Jacinto Dávila, writing for leftist website Rebelión, examines the Venezuelan government’s recent overhaul of the country’s currency control system. Do we know what we’re talking about? Probably not, because economic science (some say it isn’t a science), beyond its structural complexity, is a field of political battle, or at least, a sophisticated board for strategy games between opposing players. In these circumstances it’s unlikely that all players will declare their intentions, and even less, explain their strategies. A democratically elected government (and whose leaders will have to submit themselves to electoral evaluation again) must declare their intentions. These politicians have a more limited game, as they can only half-conceal their strategies. To make it even harder, the politicians who don’t give in to one of the economic interests which they could be against, act in representation of everyone every time they declare, and every declaration is a guide to action for all society. What good is a guide if it isn’t as clear as possible? “Devaluation” has become synonymous with “lack of confidence” for many people not versed in economics (it’s worth saying, the general public). However economists explain that reducing the nominal value of a currency, normally the decision of the government of the country in question, doesn’t mean that the country is then “worth less”, and to the contrary, it can be a way of strengthening the economy. In fact, when this reduction occurs in a “free” currency exchange market, they call it by another name (depreciation) and it becomes a natural act. All of this, of course, is part of the orthodox neoliberal conceptualisation trying to disguise itself as “neutral” science (reassessed due to its redundancy). The socialist government of the Bolivarian Republic of Venezuela, has just modified the legal and operative system of currency exchange control on the bolivar, turning it into a system with two points of access: 1) Conversion regulated at 6.30 BsF per U.S. dollar, as it has been since 2013, but from now on applicable only to transactions in the so-called national productive economy. And 2) Conversion at a floating rate for the rest of the economy, that will be defined through a mechanism of public auctions, called the Complementary System of Foreign Exchange Administration (SICAD), that the government has been testing out with economic actors since 2013, to offer foreign currency to those who don’t want or cannot justify their transaction as [part of] the national productive economy. In these tests, that were real transactions in which the whole country could participate, the average exchange rate was around 12 BsF per U.S. dollar. 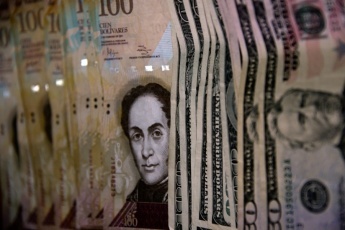 Venezuela isn’t the only country with currency controls. In fact, two of her neighbours and great Mercosur partners, Argentina and Brazil, have types of currency control (the nominal Argentine dynamic is very similar to the Venezuelan one). There aren’t surprises on that side of things. The surprise has been the [Venezuelan] government’s decision to index the allowances assigned to each citizen to obtain foreign currency for travel (up to 3000 USD) and for internet purchases (up to 300 USD) at that floating SICAD rate. However what seems to constitute a national scandal is the eventual devaluation that the new system implies. There have been cries of complaint from Tyrians and Trojans, especially remembering that during his recent state of the nation address President Nicolas Maduro expressly declared that the bolivar would continue at a rate of 6.30 for 2014 and beyond. Is this a devaluation? Did Maduro devalue? They are different questions. Answer to the first: it’s the most likely. The SICAD rate at close to 12 BsF last year is a reference. But the Maduro government doesn’t set that rate. That rate is fixed in a bid between economic agents that freely, meaning for their own reasons, decide that they cannot get the dollars they need another way. They are the ones who decide if it’s worth paying more than 6.30 dollars and avoid the procedures of the other rate, or simply [in order to] to get the dollars that are scarce. The government is using its legitimate capacity (via the enabling law, it’s important to remember), to redefine the rules of a game that, according to its own concept, has become an economic war. Will this help them win it? We can’t be sure. There is a lot to think about in that respect, it’s not a simple issue. If those who bid for SICAD dollars risk themselves to pay more, the rate will increase. This would affect the so-called raspacupos, that not so small national sector dedicated to reselling foreign currency on the black market of the much more expensive (and feasible for them) “parallel dollar”. The raspacupos would earn less. If those who bid for SICAD dollars establish a lower rate, the raspacupos could earn more but they’d be left without customers, apart from perhaps the stupid people who keep accepting the twitter rate or that of the currency exchange offices in Cúcuta (Colombia) as “the real one”. In both cases, the government frees itself from having to control. That is, it liberates a capacity for supervision that certainly will be needed in other aspects of the economy and for the not easy problem of citizen peace and security. It also frees itself, and this is the more worrying aspect of the bet, from the necessity to increase the efficiency of the system of foreign currency supply at 6.30, a valid excuse that the opposition use to establish the perception of dollar shortage. This could destroy the government’s strategy. This entry was posted in Activities and tagged Bolivars, Devaluation, foreign currency exchange, inflation, Maduro, Venezuelan economy by tamesidegreens. Bookmark the permalink. The real question isn’t whether Bitcoin determination tail off, dive before take us all on a crazy harass, it’s whether it determination truly subsist its inevitable test.